When that video message was posted to Mondo Cozmo’s Instagram on November 30th, we had a feeling something that could force even the Scroogiest of cold hearts to momentarily thaw was enroute. 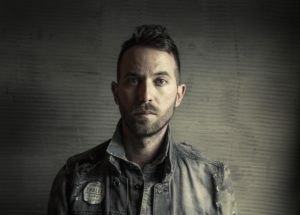 If any of the above surprises you, then you’re probably wholly unfamiliar with who Josh Ostrander (aka Mondo Cozmo) is. If that’s the case, we can help you out with that while you catch some feels from this video for the title track of his debut album, Plastic Soul. “I wanted to make a video that would do some good. If one of these dogs gets adopted because of this video, I would be so humbled.” Ostrander shared. So with Cozmo (himself a rescue pup), Santee and a cast of furry characters looking for their forever homes, this absurdly charming video with its quirky animation mirrors “Plastic Soul’s” love story of a romance that spans the breadth and space of time…and – apparently – family, genus and species. That’s right, just dropped a little biology on you just because we could. The Where: “Adopt, don’t shop” and “Save them all” are the targets that animal lovers like Ostrander and the Best Friends Animal Society are aiming for so check them as you may find a new forever fur baby and keep up with all tings Mondo Cozmo via his official website, Facebook page and at @MondoCozmo on Twitter.